The Berkeley community is filled with people pushing the edges of what’s possible. Business leaders whose achievements have shaped entire industries and benefited humankind; alumni whose dedication to Berkeley has had a profound and lasting impact on students and faculty; young alumni whose early achievements are already showing great promise for their fields or communities. These are the Achievement Award recipients, co-presented every year by the UC Berkeley Foundation and the Cal Alumni Association. The 2019 recipients will be formally presented with their awards at Berkeley Charter Gala on May 16, 2019. A welcome reception and the awards ceremony will take place at Zellerbach Playhouse, with a sit-down dinner to follow at nearby Pauley Ballroom. The Achievement Awards (listed below) celebrate forward-thinking business leaders, gifted faculty, and dedicated and promising alumni. Visit chartergala.berkeley.edu for more information! Honors a prominent alumnus/a who exemplifies the very best of Berkeley, whose professional leadership and contributions have led to extraordinary advances that benefit the greater good of society, who gives back to the community and university, and who inspires others in their careers and personal lives. 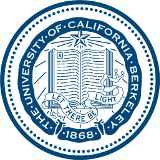 Recognizes an alumnus/a whose remarkable professional achievements reflect the excellence of a UC Berkeley education. Awards a faculty member whose extraordinary contributions go above and beyond the call of duty to advance the university’s philanthropic mission and transform its research, teaching, and programs. Commends a young alumnus/a who graduated within the last 10 years who has made a significant contribution to his/her community, country, or the world at large. This award pays tribute to Mark Bingham ’93, who died on September 11, 2001, defending the United States on United Airlines Flight 93.